Chipotle Mexican Grill Inc. has partnered with Richard Blais, a chef, cookbook author and restaurateur, to lead its Tasty Made burger concept. Blais will be tasked with infusing the fast-casual burger concept with “new, high-quality menu items.” The move comes just a year after the first, and so far only, Tasty Made location opened in Lancaster, Ohio. The partnership will be done in part to allow Chipotle CEO Steve Ells “to remain focused on continuing to grow and strengthen the Chipotle brand,” he said in a statement. Chipotle said that Blais will revisit the restaurant “with a fresh eye” to perfect the existing menu and expand options. 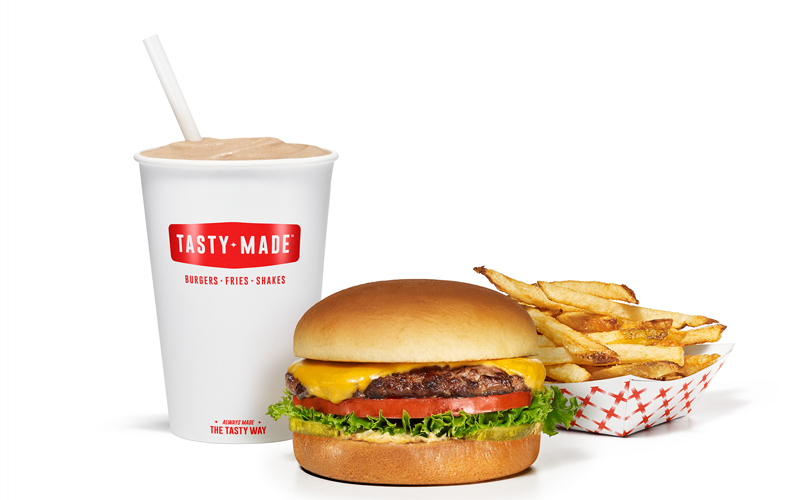 Tasty Made features just burgers, fries, shakes and sodas. The burgers are made to order with fresh beef and fries are hand cut and twice fried. “There is no more iconic fast food than burgers, and I have always thought there is a way to do them on a really big scale without compromising the quality of the food or the overall restaurant experience,” Blais said. Blais’s own ventures include the chicken concept Crack Shack and the San Diego restaurant Juniper & Ivy. He also won the Bravo television competition Top Chef All Stars and has operated his own consulting business. He’s also authored multiple cookbooks. Chipotle started Tasty Made as part of an effort to prove that its business model could work with multiple menu items. The chain also has a pizza concept, Pizzeria Locale, but earlier this year it shut down its Asian chain, ShopHouse Kitchen. Chipotle said that Tasty Made will unveil “changes or enhancements” to its concept stemming from the relationship with Blais as they are made. Blais “can apply his compelling vision and entrepreneurial spirit to our work in progress and oversee operations,” Ells said.